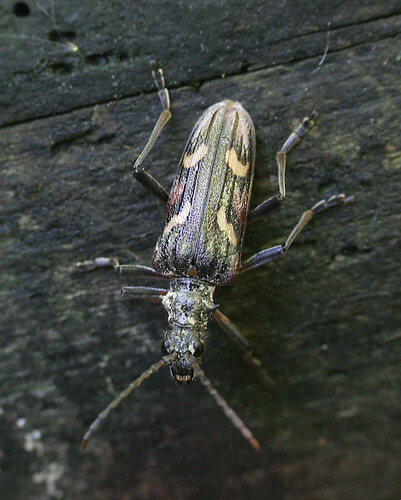 Cerambycidae is not a group with a large diversity at Tophill Low NR, East Yorkshire, but slowly the list is increasing. 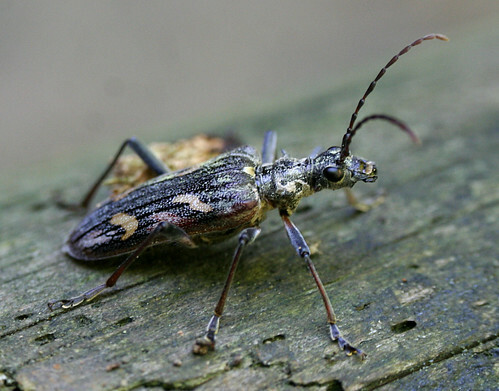 This years first addition is Two-banded Longhorn Rhagium bifasciatum which was recorded on May 17th. 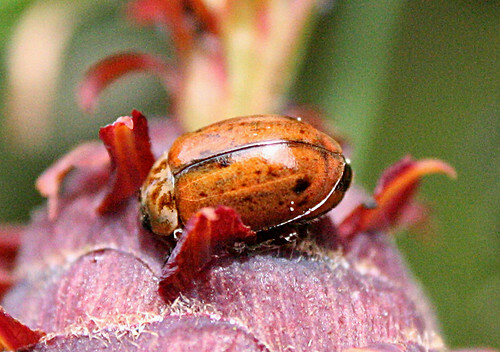 A widespread species throughout the country, though one that doesn’t appear to be particularly numerous across the Yorkshire region. 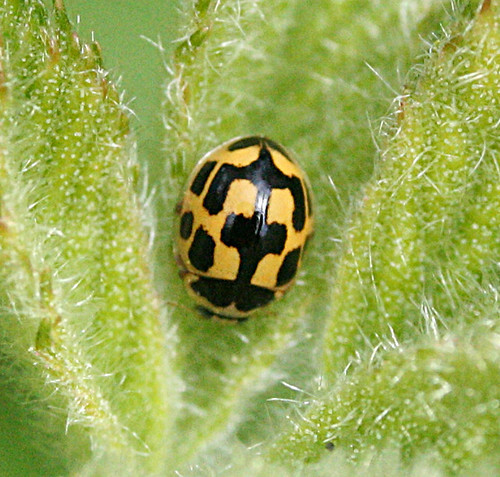 This species becomes the sixth of the group to be noted at Tophill. 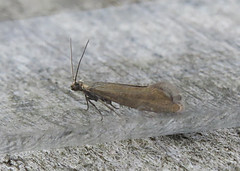 The stunning Golden-bloomed Grey Longhorn Agapanthia villosoviridescens was also noted on the same date, a much easier to see species around Tophill. 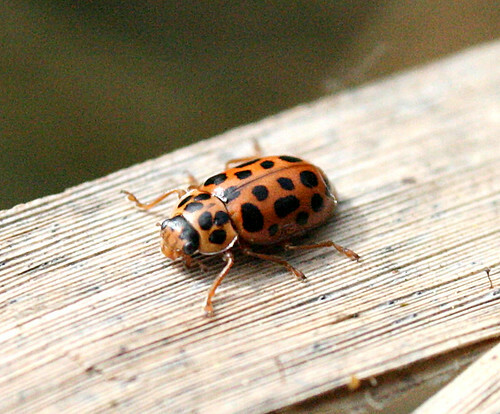 Also new to the site in recent times was Eyed Ladybird Anatis ocellata. 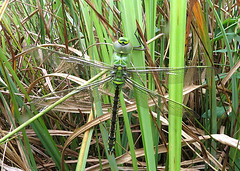 Allan Rodda found this one in the car park on the 10th, which was thought to be the first record, albeit one had been noted a few days earlier. 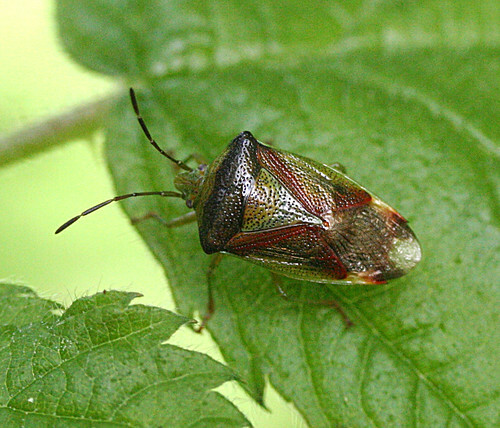 Surprisingly missing from the site list prior to this May, the species is now rather abundant around the car park area with almost double figures noted by the 18th. 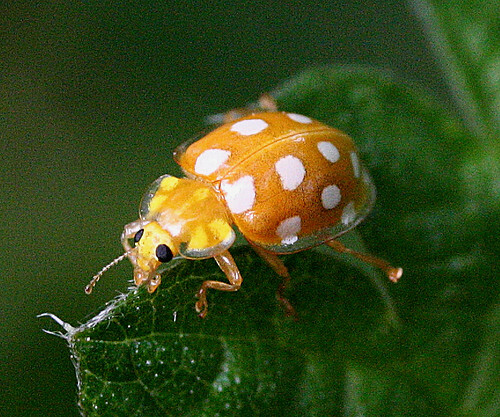 Without searching hard, eleven species of Coccinellidae were found during the week – the site list is currently 14 species. 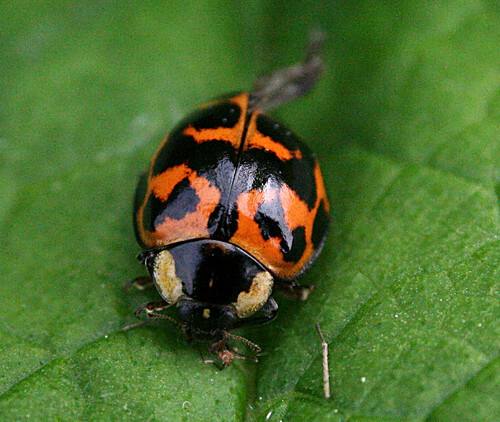 This Harlequin Harmonia axyridis form succinea one of the many forms of the species showing in abundance, while the more difficult to find Larch Ladybird Aphidecta obliterate and Water Ladybird Anisosticta novemdecimpunctata have been showing relatively well. 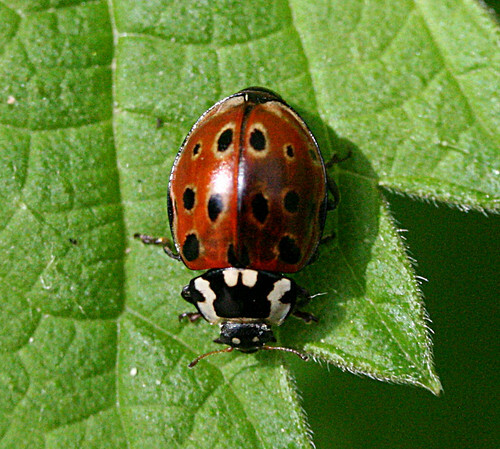 The other species encountered being 2-spot Ladybird Adalia 2-punctata, 10-spot Ladybird Adalia 10-punctata, Cream-spot Ladybird Calvia 14-guttata, 7-spot Ladybird Coccinella 7-punctata, Orange Ladybird Halyzia 16-guttata, 14-spot Ladybird Propylea 14-punctata and 24-spot Ladybird Subcoccinella vigintiquatuorpunctata. 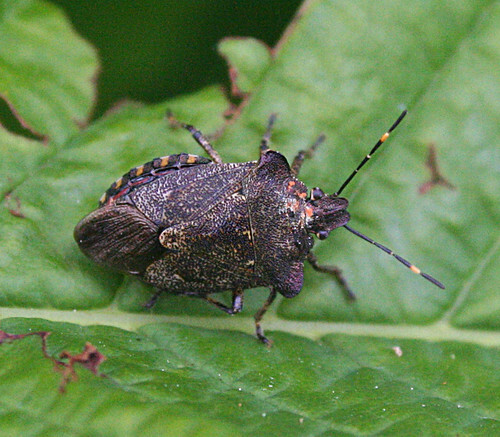 Another group showing in plentiful supply is Acanthosomatidae – Birch Shield Bug Elasmostethus interstinctus and Bronze Shield Bug Troilus luridus just two of the species showing well over the last ten days.